Getting the proper curly haircut requires the right stylist, the right salon and the right preparation on your behalf. Surprisingly, it’s what happens before you arrive that can ensure you have the best outcome at the salon. Martha Mulvane, Salon Manager at the popular Capella Salon in Los Angeles sat down with me to explain why preparation is the key to your best experience. Looking for a curly hair specialist in your area? Visit our Salons database to browse thousands of reviews. Before calling in to make your appointment, make sure you know what type of services you want. Some services require more time than others and if you’d like more than one service, (ie. haircut, hair color & deep conditioning treatment) the receptionist can properly schedule enough time for the stylist. Many of the stylists at Capella Salon can be booked within a week but if you are coming in specifically to see Shai Amiel, plan on booking 3 to 4 months in advance. When asked about any tips on making appointments, Mulvane replied, “It sounds silly but know the date, time and have a backup in case that availability is not open”. Bonus Tip: If you can’t get in to see your stylist soon enough, you can always ask to be put on a cancellation list for the first available date. She also adds, “If you are looking for a DevaCut or a specific type of cut, be sure to mention that when you’re booking.” Just requesting a women’s or men’s haircut is not the same thing. These haircuts have specific instructions before you come in for your appointment. If you are coming in for a DevaCut, be prepared to do things a little differently. Some salons cut curly hair wet, washing the hair first. This is not the case for a DevaCut. On the day of your appointment, be prepared to wash, style and dry your hair as normal before arriving. Arrive with your hair down and dry. If you arrive with your curls in a tight ponytail, braided or in a hat, this can stretch out the natural curl pattern making it difficult to give you the proper cut. And remember, this is a dry cut. If you know your hair takes 3-4 hours to dry don’t come to the salon with soaking wet hair. Your stylist will have to spend a large amount of time drying your hair which can cut into your appointment and possibly make them run behind on the next appointment. Lastly, arrive to your appointment with a clear idea of the cut and/or color you want. Many times, words get lost in translation. Stylists are not mind readers, so come prepared with photos to ensure that you’re both on the same page. And...try not to spend half of your appointment searching for a photo and leave your stylist with 30 minutes to cut your hair. Ready to book your next curly haircut? 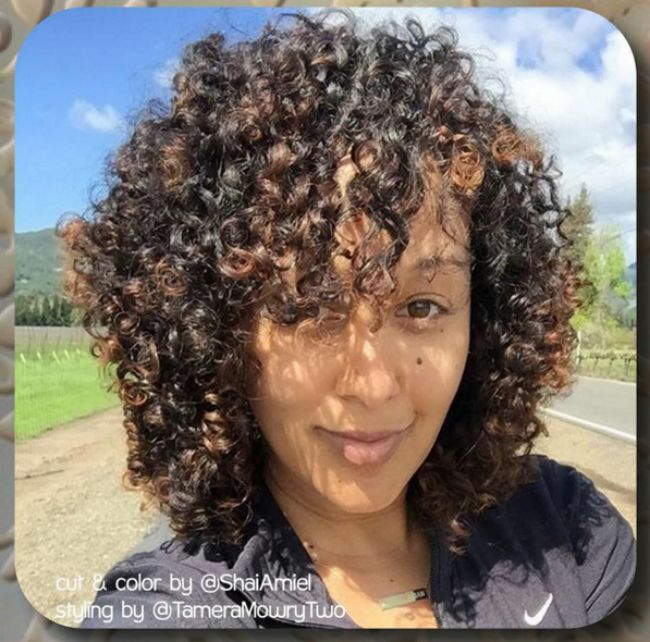 Book your appointment with Shai Amiel or any of their other curly hair specialists at Capella Salon in Studio City.